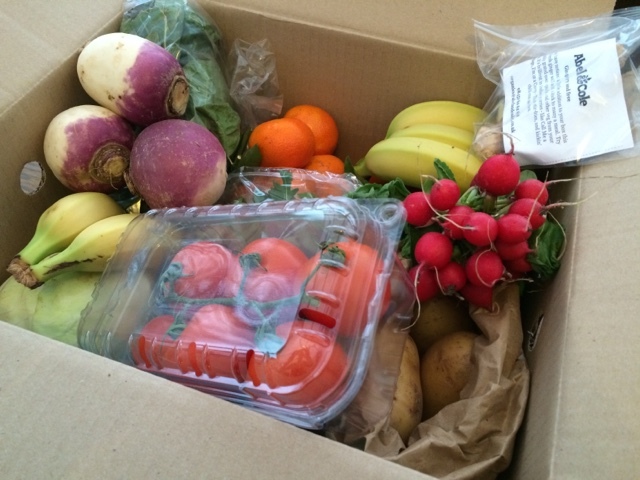 For the last five weeks every Wednesday has seen a box of organic fruit & vegetables delivered to our door by Abel and Cole. 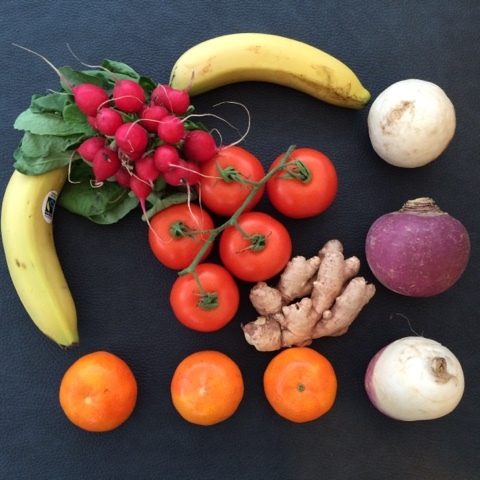 For £20.00 (including delivery) we receive 3 types of organic fruit and 7 seasonal vegetables, one of which is always potatoes and I have to say they all taste incredible. I'm not a faddy food person, kale crisps and quinoa have passed me by but I do understand and appreciate the difference eating organic produce has to our bodies and to the farmers that grow these foods in challenging times and conditions. I, like many other people have always been under the impression that organic food is overpriced with a short shelf life. Lots of the organic food I see in supermarkets always appears more damaged or bruised than their non-organic counterparts and until now I could never justify the price for food that would often end up being thrown away. Since starting to use Abel and Cole we have thrown away less than half a cabbage, that's it - and only because our fridge decided to start freezing it! It had sat in the fridge for over two weeks and there was no breakdown or wilting at all. I wanted to wait a few weeks before reviewing these boxes to make sure that the selection remained consistently good and it really has been. Of course we still need to buy the occasional extra produce from the supermarket, we cook all our meals from scratch and there is always at least two vegetables in every meal, but since using the boxes our overall food bill has not increased. 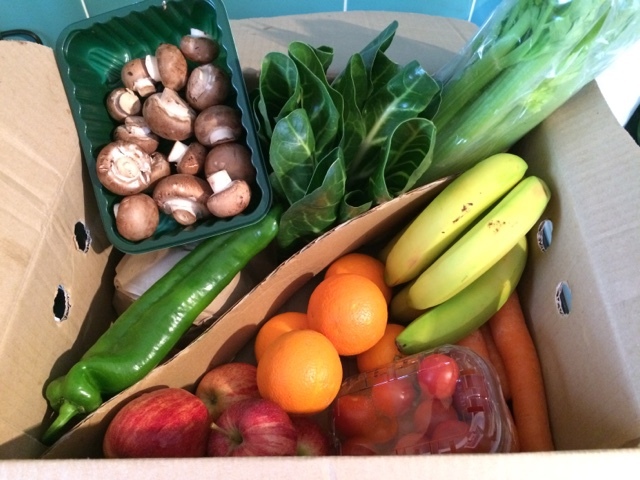 Our fourth box was free (we only paid for the delivery) and each week we have been sent an extra little item to try, along with recipe cards and meal suggestions. We have until Monday to make any changes to our box - changing the size, type or replacing an item that we don't like, and the box is delivered by 8am every Wednesday. We leave last week's empty box out to be collected and recycled by the driver and payment is taken out of my account once the box has been delivered. Abel and Cole don't just deliver organic fruit & veg, they have a whole range of dairy, meat, fish, bakery and cupboard essentials. It's as if they are an online supermarket - a lovely one! Items that need to be kept cool are delivered in a wool insulated box with ice packs. Last week we were sent some free yogurt to try and I purposefully kept it in it's box to see how cool it would be. When I got home from work it was still beautifully cold. Abel and Cole provide a whole range of organic boxes, or you can make your own box from their vast range of products. They offer seasonal items to cover times like Easter & Christmas and we will definitely be looking to use them for our Christmas lunch this year. I have not been compensated for, or asked to write this review. I was pleasantly surprised at how good a product this is and I wanted to share it with my readers. It all looks absolutely delicious! Like you I've never really felt I could justify the cost of organic foods. Perhaps I need to have another look. We used to get Abel and Cole boxes delivered but found we didn't eat some of the selections we received which was a shame.